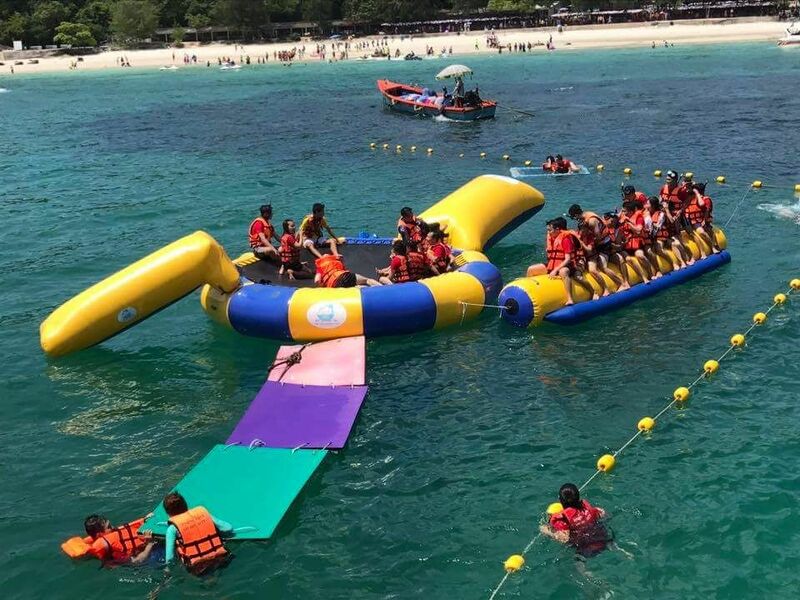 Let's enjoy your day by Floating and Snorkeling near Bangkok. REALLY? Yes you can do that in 1 day with me. Let's me take you see by your self. Let's go to Pattaya... we will drive around 2 to 2.30 hrs. Arrive at Pattaya Floating Market. Here you will get a new experience by a Boat Trip, Herbal Ball Massage Demonstrations and a Monkey Show.. all in one place here. Then you can have fun walking and shopping. So much fun things to do in this market! Happy lunch time with a yummy buffet. Get ready to go to the Pattaya pier. We take a speed boat to Koh Larn and relax on the beach for a while. Another speed boat brings us to Kho Sak for snorkeling. Explore the under water world watching the colorful fishes and corals! Welcome back to Koh Larn again. I know you will be hungry so how about a dinner after Snorkeling? Sounds good?! The speed boat brings us again back to Pattaya. You can choose where you want to go. You have a choice of Shopping at the Outlet Mall Pattaya or have fun at a local market - Thai people call it Nong Mon Market - maybe you can buy so many things from this market. Go back to bangkok again. Should be arriving at the hotel at around 22:00 and say GOOD BYE. Experience a mix of fun activities, chill out, culture, and the culinary diversity of Thailand. Be sure you bring your swimming wear, a beach towel and an additional t-shirt with you also your sandals.